Hear ye, hear ye! Whether you’re on the road or just like to multitask, our Audiobook newsletter will be music to your ears. Subscribe now. Browse, check out, and download eAudiobooks from Michigan City Public Library using the Axis 360 app! It’s simple — just download the app on your device, find our library, and log in using your library card number and PIN. Don’t know your PIN? Click here to reset your PIN. If you need additional assistance, please call the Circulation Desk at 219-873-3042, email, or stop by in person. Don’t have a library card? Sign up now to get an eCard. Sign up for our New eAudiobooks newsletter to be informed about new eAudiobook releases. Subscribe now. 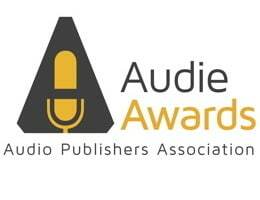 The Audie Awards recognizes distinction in audiobooks and spoken word entertainment sponsored by the Audio Publishers Association (APA). The Listen List: Outstanding Audiobook Narration highlights twelve outstanding audiobook titles that merit special attention by general adult listeners. Annual award for the best English-language audiobook for children or young adults. Awarded by the American Library Association. AudioFile helps you find great audiobook listening through reviews and recommendations for good listening, top-notch performances and dynamic listening experiences. Browse, check out, and download eAudiobooks from Michigan City Public Library using the Axis 360 app! It’s simple — just download the app on your device, find our library, and log in using your library card number. Don’t know your PIN? Click here to reset your PIN. If you need additional assistance, please call the Circulation Desk at 219-873-3042, email, or stop by in person. Don’t have a library card? Sign up now to get an eCard.